Last year, we brought you a list of 20 gifts that you could only get right here in Goshen. This year, we realized we couldn’t stop there! In our city, there are countless local mom-and-pop shops, artisans, restaurants, boutiques, cafes, studios, and guilds that offer treasures you can’t find anywhere else. And what better time to highlight a few of them than smack-dab in the middle of the holiday season? So here’s a collection of 30 only-in-Goshen gifts — ranging from under $20 to over $50, for all age ranges and tastes. We’re sure you can find something to treat everyone on your list … without ever leaving city limits! 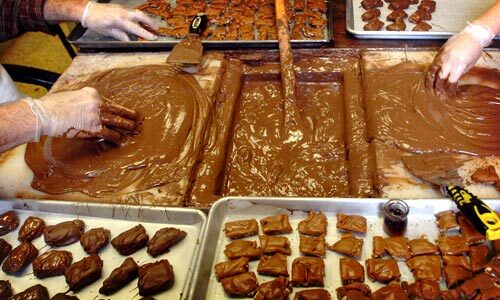 Candy Kitchen, dark chocolate truffles at the Nut Shoppe, or chocolate covered pretzels at The Chocolate Factory in the Old Bag Factory. 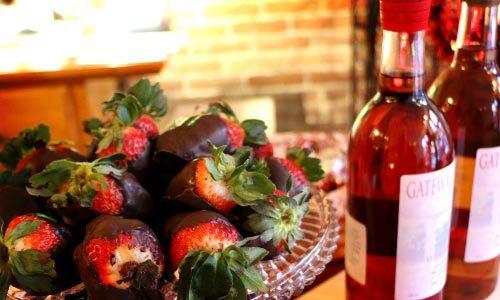 Choose a wide selection of fine wines, from sweet rosés to dry merlots, at Goshen’s downtown winery, Gateway Cellar. Don’t have a staple house wine? Try them all out for size! You can get 6 free samples to swish, sniff, and sip to your palate’s content. Photo provided by Downtown Goshen, Inc.
3. Soaps, scrubs, balms, and more! 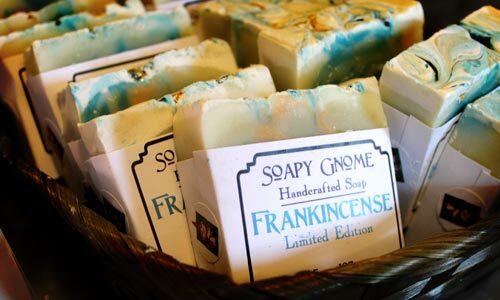 The Soapy Gnome is known for its au naturale ingredient list and oh-so-heavenly scents! The shop in downtown Goshen is stocked full of locally sourced bar soaps, lotions, bath tea, balms, sugar scrubs, and oils. There’s also a line-up of Goshen Brewing Company beer-soaps and beard oil for guys! The ingredients are earth and animal-friendly with naturally occurring fragrances — so you don’t get a headache if you spend too much time wandering around the shop (which, believe us, is pretty easy to do). 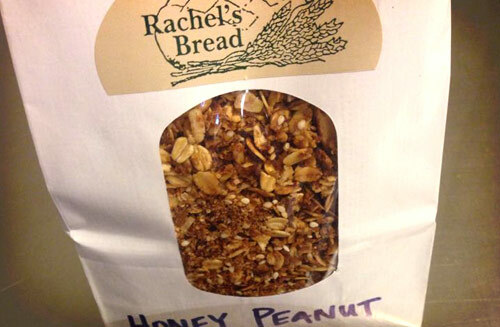 Grab a bag of nutty, crunchy, scrumptious granola from Rachel’s Bread, a French-style artisan bakery located next to the Goshen Farmer’s Market. The granola makes the perfect topper to yogurt, ice-cream, or simply with milk. If you’re looking for something with more of a French twist, try Rachel’s famous crusty rolls, croissants, or fruit and nut tarts. 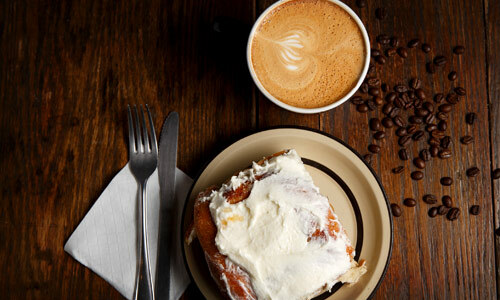 The Electric Brew is Goshen’s one-stop coffee roastery, cafe, and community hub. The Brew roasts their beans in-house with organic, fair-trade beans from all over the world. Grab a bag of the owners’ bold signature blend, Bald Brothers, for your coffee-loving friends – or a half-pound of hazelnut flavored beans for the more sweet-tooth inclined. Better World Books, a charitable international book collection organization, has their only brick-and-mortar store right here in downtown Goshen. 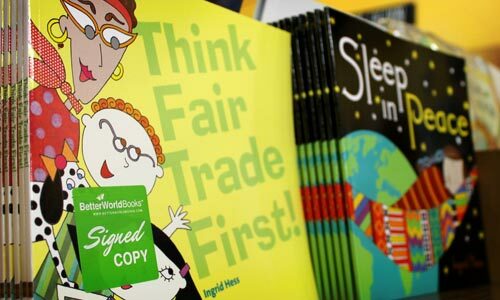 Better World has a whole section completely dedicated to books written by (and oftentimes signed) by local authors! While perusing the store for books, check out their epic game section and local artists’ cards and prints for sale. 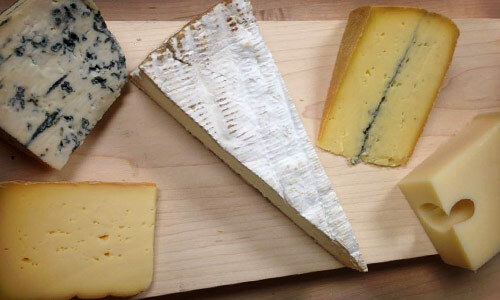 One of Goshen’s newest destinations for bonne nourriture (“good food” en français) is The Wedge Fromagerie, a French-style cheese shop owned by Rachel Shenk, owner of Rachel’s Bread. The Wedge sells hand-crafted and out-of-this-world (or, at least, country) cheeses from Italy, Switzerland, France, and beyond. A wedge of etivaz gruyere, a hard swiss variety, is perfect for the gourmands on your list. Bon appetit! Why buy recorded music for a friend when you could offer them the real deal? Purchase concert tickets at Ignition Music Garage, Goshen’s record store and folk/indie/Americana/rock/so-much-more performance venue. 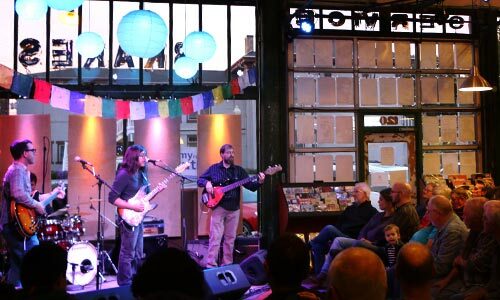 Ignition was named in the top 10 venues to see a show in the U.S., as voted on by the Americana Music Association. Tickets to shows at Ignition Music Garage can be purchased in advance online, and are usually between $15 and $25. It wouldn’t be the holidays without a plethora of sweet treats. Return home bearing a box of pastries from one of Goshen’s many bakeries, all scrumptious in their own unique way. Sweet Em’s offers classic and flavorful cupcakes and cakes, Dutch Maid sells (you guessed it!) Dutch-style flaky pastries and cookies, and Gutierrez Grocery has a huge selection of mouth-watering Mexican breads and sweets. Mellow the prana and balance the chi of the people on your list with a 30-day pass at Spacious Heart Yoga. For $30, you can gift unlimited access to the yoga studio’s classes and events. Spacious Heart offers dozens of classes that range from beginner to advance, plus a huge selection of inspiring books, comfy sweats, and yoga gear galore. Goshen is home to a huge number of talented ceramicists (seriously, check them out), who create practical-yet-beautiful pieces for the hearth, home, and beyond. 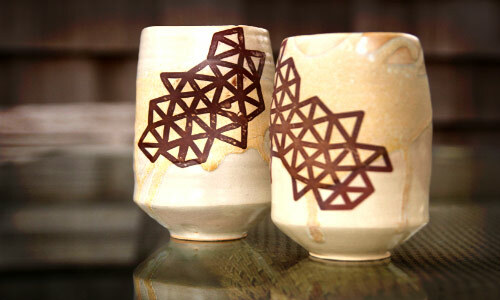 One such pottery up-and-comer is Madeline Gerig, a current Goshen College student, whose experimental work features abstract shapes that make for interesting and aesthetic pieces … perfect for everything from your morning cup of joe to an eye-catching shelf decoration. 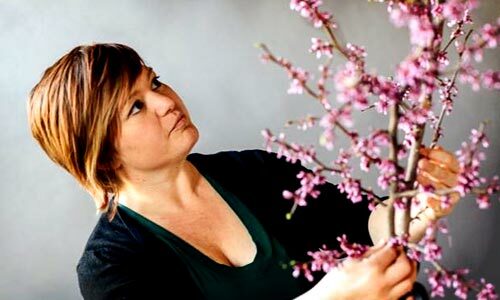 Spruce up (literally) your home with a bouquet or seasonal wreath from local flower specialist, Phoebe Brubaker! Phoebe’s arrangements always include the unexpected: a pheasant feather amongst a batch of fresh dahlias, crunchy maple leaves perfectly placed next to yellow daisies; or gold-painted twigs draped delicately on a spruce wreath. Give the cozy and heart-warming experience of a knitting lesson at Reverie Yarn & Gifts. This warm and cozy shop is owned and operated by a group of this area’s best knitters (and nicest people ever … seriously, go in and chat for a while and you’ll never want to leave). 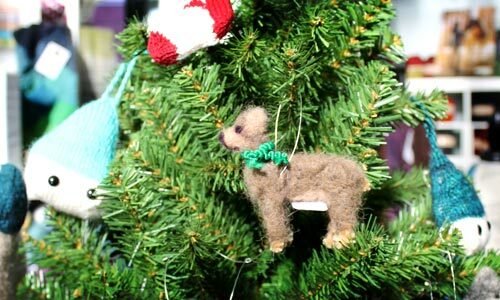 Classes range from felting adorable animal ornaments (pictured left) to knitting complicated pattern. Most classes go for around $10 an hour! 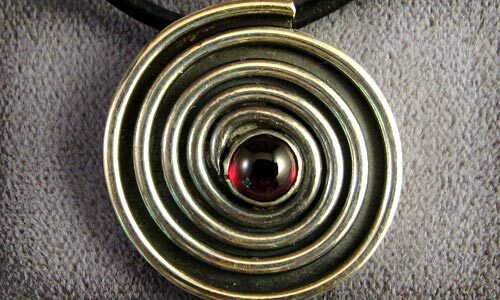 Local jeweler Wilma Harder makes everything from wedding rings to pendants to earrings. Her earrings can be purchased at Rachel’s Bread year-round, other work is on display at her booth at the Goshen Farmers Market on Saturdays during December. Where do you find colorful frocks and rare threads that no one else is wearing? The Gift of G.A.B. of course! 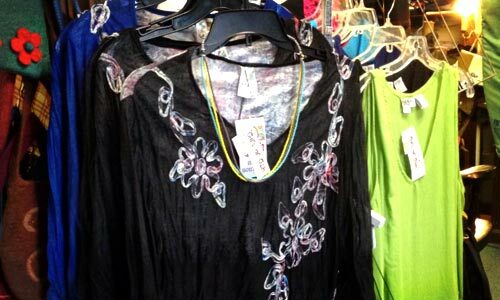 This locally owned boutique showcases handmade, vintage, and all-around funky frocks, jewelry, and gifts. Find the shop at its new location at the historic Old Bag Factory. Maple Leafs rock the house! Go Goshen Go! Help your GC-loving friends cheer on their Maple Leafs when you gift them team-pride gear. 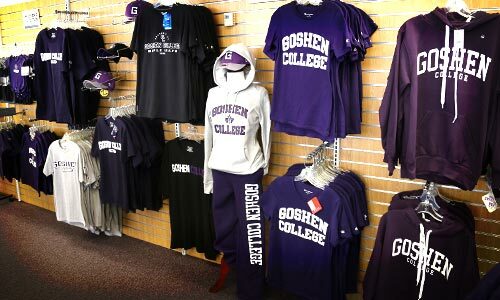 At the campus bookstore, you can buy sweatshirts, t-shirts, sweats, bumper-stickers, books, and more all in the signature GC purple. Give a gift that gives back: Buy a friend a guitar lesson at TG Music’s School of Music, and maybe you’ll be rewarded with a sweet serenade someday soon! 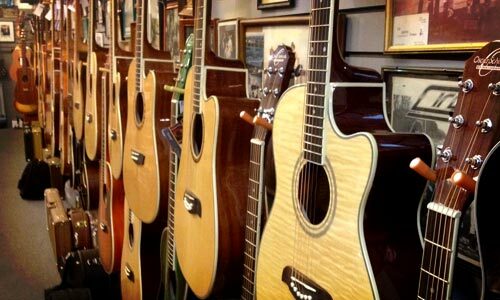 Students learn from some of the best guitar players in Michiana at the TG School of Music. A half-hour lesson is $20 and a one-hour session is $40. Want to find something truly unique for loved ones? How about a purse made from colorful handwoven rugs from Bulgaria? 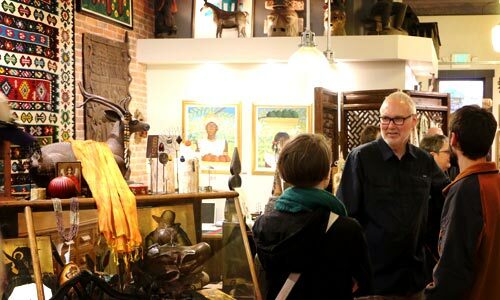 FOUND, Goshen’s source for one-of-a-kind international art and antiques, sources all their inventory from trips the owners take to Latin America, Asia, Eastern Europe, and Africa — purchasing handcrafted items directly from artisans. Kilim purses sell for between $36 and $48. See photos of the purses online.! 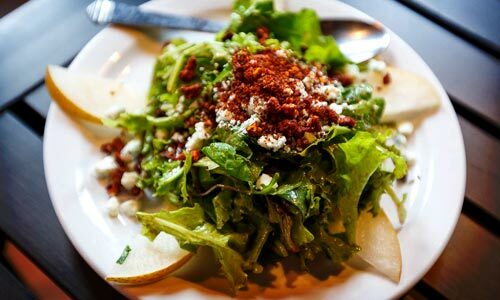 Help your family and friends find out why foodies are gushing about Goshen’s food scene with a gift certificate or meal at an area restaurant. As an added benefit, these restaurants owners commit to sources as many of their ingredients from area farms as possible. Friends, family, restauranteurs, farmers — everybody wins this holiday! 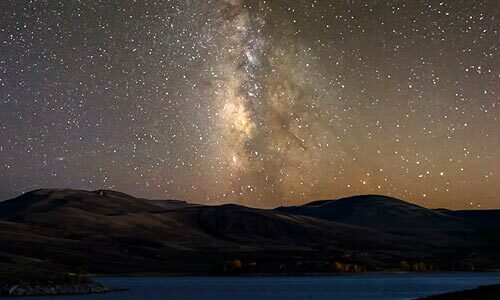 For that friend who’s killing it on Instagram: Help them hone one of their photography instincts with a class at the photographer’s guild. Or, if you’re interested in giving a local photographer’s piece, contact the guild on their website. 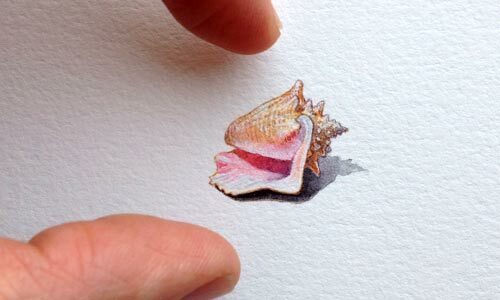 Brooke Rothshank, an area artist and entrepreneur, paints tiny portraits of inspiring people, household trinkets, toys, food staples, and miscellaneous tchotchkes … and each one is completely magical. Her paintings can be purchased on her Etsy shop or at Rachel’s Bread, and average about $50. 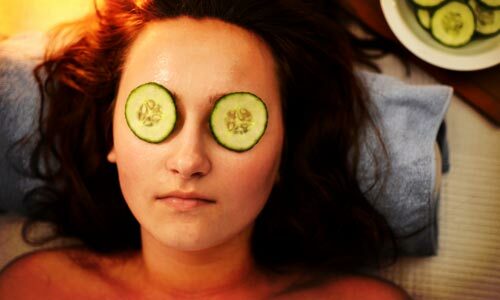 Who doesn’t need a little rest and relaxation during the holiday season? Goshen has a variety of massage therapists who can help you unwind with chair and table massages, spa treatments, and more. Visit each business’ website for pricing and more information. Make your own microbrew, then give a bottle to all your (21-and-over) friends and family! 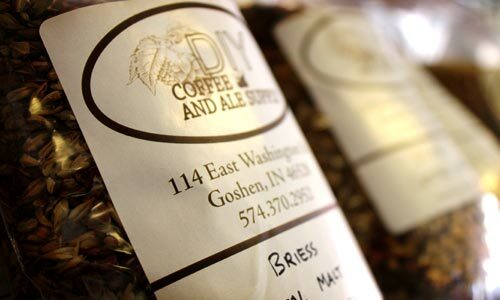 Get all the supplies you need to make your own brew from DIY Coffee and Ale Supplies, one of the only places to get hops, barley, and all the equipment needed for a full homebrewing set-up in Michiana. While you’re there, grab a cup of nitro-coffee, a stout-like cold brew that’ll entice your senses and give you an extra jolt of energy. 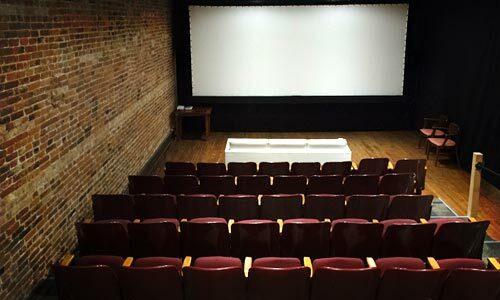 Give the gift of a unique cinematic experience with a Cinema Club membership at Art House, Goshen’s independent and foreign film theater. With a Cinema Club Card, you’ll gain admission to any regularly priced screening. Buy a regular Cinema Club Card for $40, for the price of 5 tickets, and get the 6th free! For $90, adults you can buy season tickets to Goshen High School athletic events! For children and senior citizens, season tickets are $45. This’ll get you into each and every sports event of the spring or fall seasons — basketball, football, cross country, tennis, soccer, volleyball, golf, and many more — so you can support the home team as often as possible. For $100, you can give a lifetime membership at Goshen’s co-op grocery store, Maple City Market. This membership make you a part-owner of the co-op grocery store, while offering discounts, deals, and other perks. 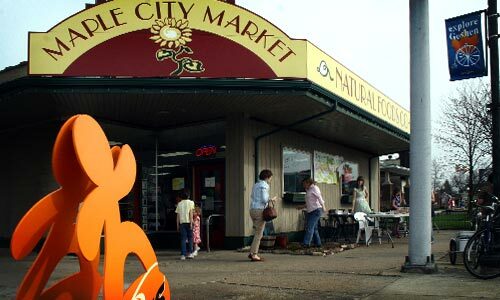 Maple City Market is full of organic and natural whole foods, locally sourced meats, cheeses, and vegetables, bulk items, soaps and natural beauty products, organic cleaning supplies, and a full-service deli. 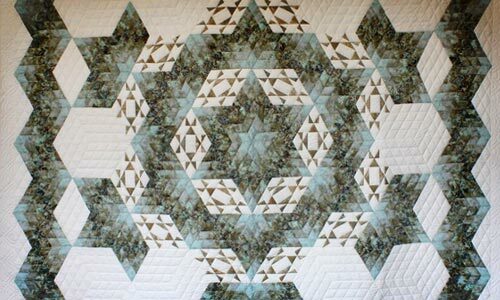 Local quilt experts, Quilt Designs, is one of this area’s top attractions. The shop is located in an 1837 two-story log cabin next to the Old Bag Factory. If you’re looking for something really special for an art-loving loved one, a wall hanging or quilt from Quilt Designs might be the ticket! Craft woodworker Matt Thomas calls his live-edge furniture pieces “tree-to-table,” as he sources all the wood from fallen trees collected right here in Goshen. 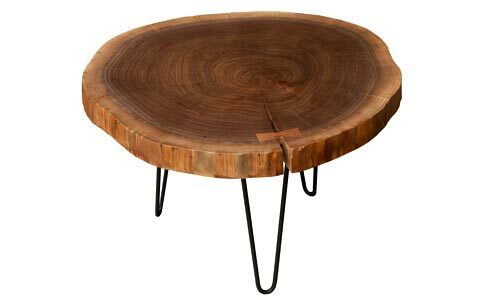 You can customize your own table, or order from his growing selection of coffee tables, desks, dining room tables, and more. Though Matt’s showroom is in Elkhart, he grew up and continues to live in Goshen. Goshen is also home to dozens of other amazingly talented woodworkers, like Elan Furniture (sold through Wieland Designs), Hedge House Furniture; or Swartzendruber’s Furniture Creations. A CSA membership from a local farm gives the gift of locally sourced and organic food for a whole season! 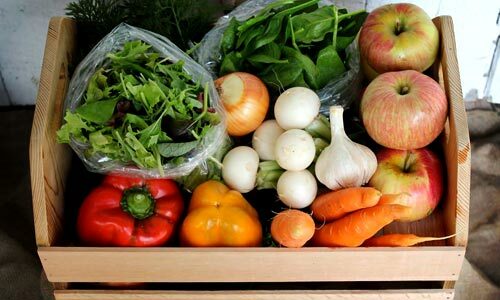 Order a Spring CSA from Clay Bottom by signing up on their website — and you or whoever you sign up will have Goshen sourced meals until late summer. 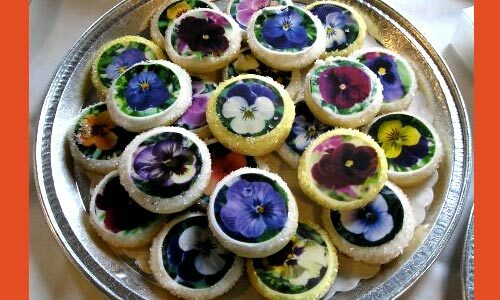 Find more information about other local CSAs (like Flowers by Phoebe’s flower CSA!) at the Goshen Farmers Market. GoDance Studio is one of Goshen’s newest and grooviest downtown establishments. 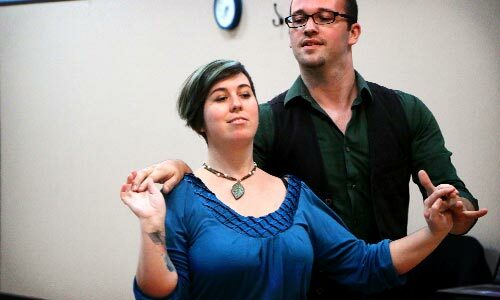 The dance instructors teach everything from tango to chacha to swing to the waltz. Not only that, GoDance gives back: The studio will donate $10 toward dance lessons for adults with developmental disabilities through ADEC for every gift certificate purchased during the holiday season.